French Gilt Mirror - Circa 1880. 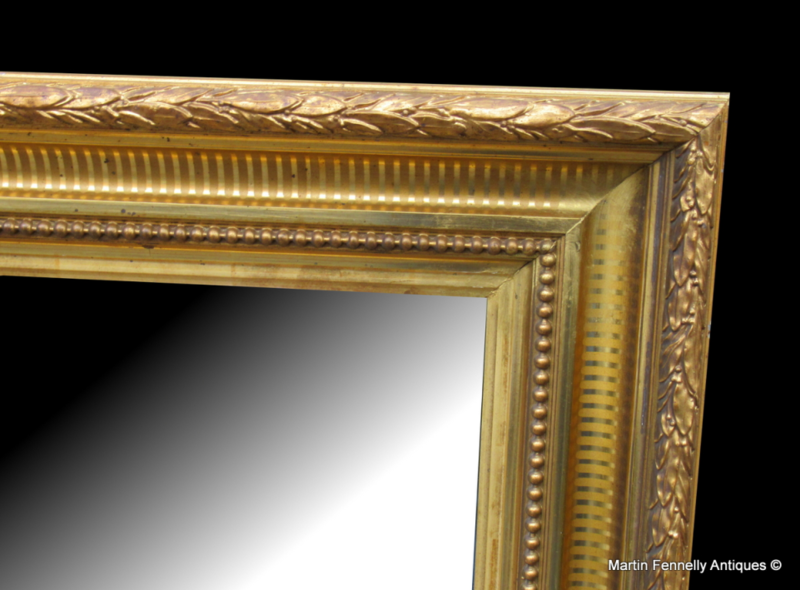 This French Overmantel Mirror is in excellent condition and a useful size. The Mirror has the original Glass and Back. 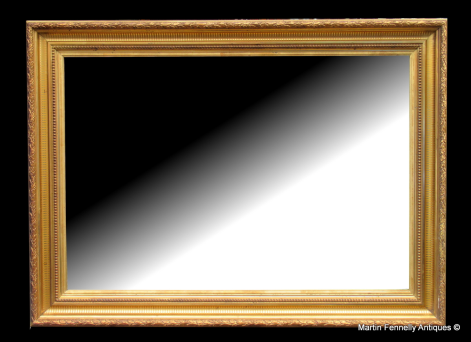 The Design is simple and it has a full around frame so can be used in Landscape or Portrait format. It has a wonderful Patina and would bring a touch of French flair to any room.